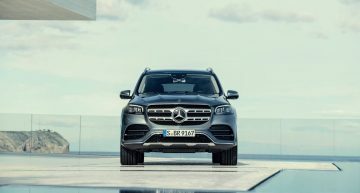 Is the venerable Mercedes GLE, launched back in 2011 under the ML designation, withstand the new flagship from Volkswagen, the VW Touareg, that benefits from the MLB Evo platform, also used for the Porsche Cayenne and the Audi Q7? 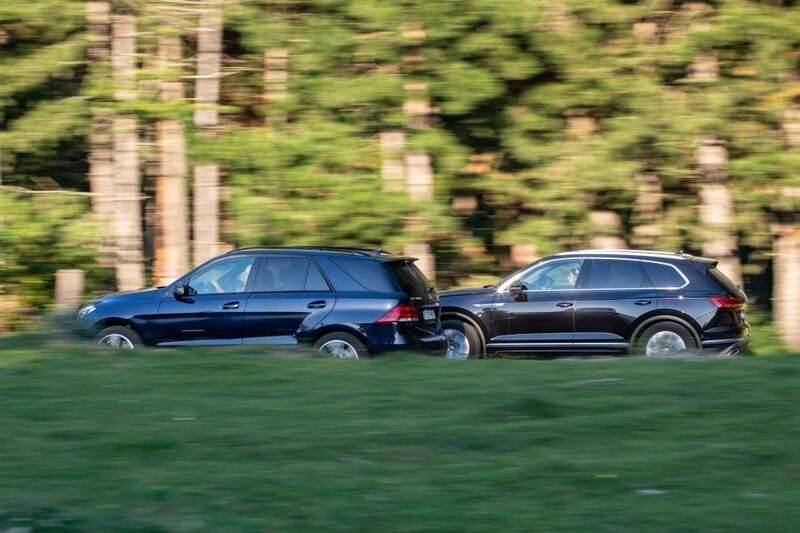 Comparative test Mercedes GLE 350 d vs VW Touareg V6 TDI. 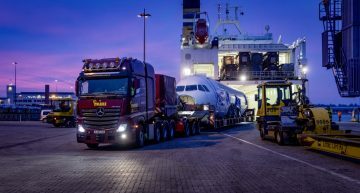 Technology progresses fast in the car industry and, under these circumstances, a question obviously arises: if the Mercedes GLE, launched as an ML model in 2011 can withstand the new VW Touareg, of which VW says that is the new flagship of the brand and which benefits from all the technical delicacies of the MLB Evo platform engineered by Audi, from the adaptive pneumatic suspension to the integral steering and active stabilizing bars. 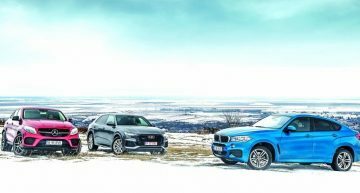 For this purpose, we confronted the VW Touareg V6 TDI, powered by the new 3.0-liter turbodiesel V6 with 286 horsepower, developed by Audi, and the Mercedes GLE 350 d 4Matic, equiped with another 3.0-liter engine, the familiar turbodiesel V6, with 258 horsepower, that is set to retire this fall. With the Designo Exclusive Package (7.616 Euros), including, among others, Porcelain White Nappa leather upholstery and a dashboard covered in black Nappa leather, plus heated and electrically adjustable seats, Mercedes GLE 350 d holds a timeless elegance. 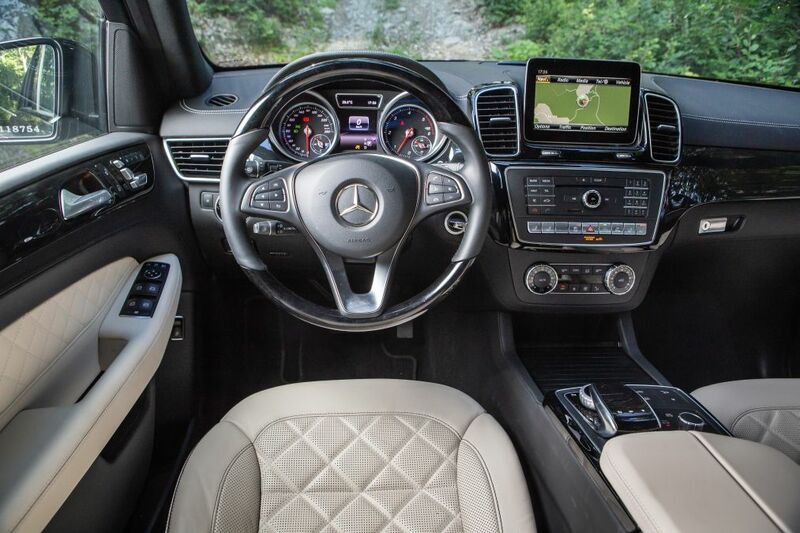 The interior of the GLE is worthy of the premium big-sized SUVs with very little plastic in plain sight and displaying a classic pose provided by the ergonomics with plenty of physical buttons and no touch controls. The Mercedes GLE 350 d is standardly equipped as the entire GLE range with the hard disc infotainment navigation system and an 8-inch Comand online display, which also features internet access. The display is not a touchscreen, but the command via the controller is extremely intuitive and you can engage it while keeping your eyes on the road. 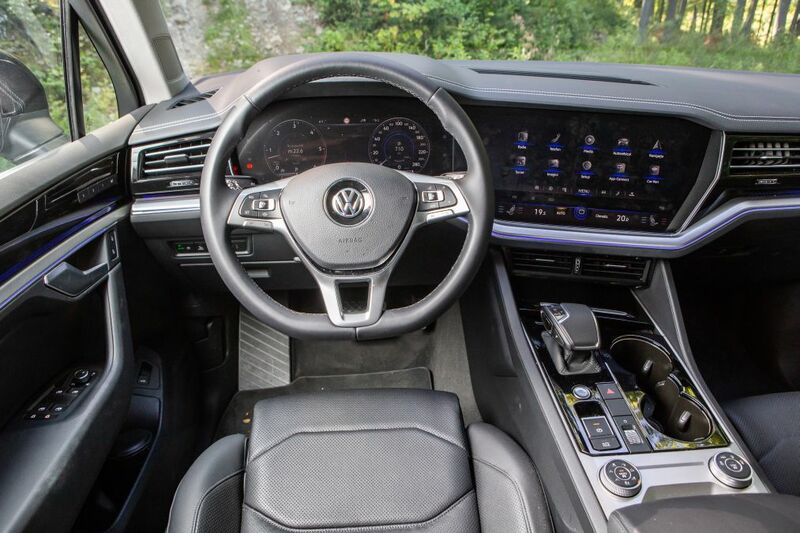 Yes, the screen does not feature the resolution of that of the Touareg, but it is perfectly placed in the upper area of the center console, the climate features clear controls and the analogue instrument cluster in separate lobes are pretty visible. The driving position is higher than in the Touareg, but the Comfort seats included in the Designo package provides excellent comfort and great support. 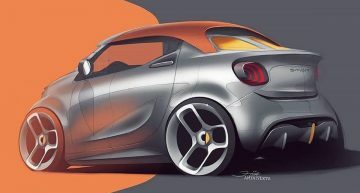 There is plenty of space at the rear, but the rear seats only split 40/60% and in order to fold the rear seats, the seating area must be lifted first. 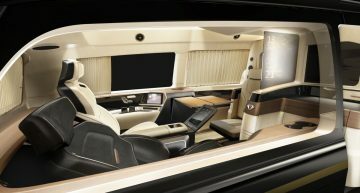 The result is that by lifting the seating area upon the folding of the rear seats, a perfectly plain loading area is created. 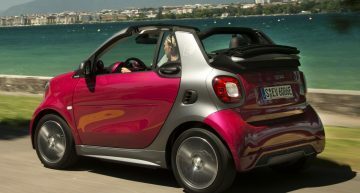 The boot features generous volume, of 690 liters and reaches 2,010 liters with the rear seats folded. By comparison, the Touareg standardly features a bigger boot, of 810 liters, but with the rear seats folded, the volume is smaller, of 1,800 liters. Instead, the Touareg features rear seats that split 40/20/40%, that can slide forward and backward by 150 mm and that reclines in 7 different angles (just 3 angles for the Benz). But even when pushed backwards at the maximum, the kneeroom at the rear is not bigger than in the GLE, both models being among the most spacious in the segment. But inside the Touareg, by folding the rear seats, the loading surface is not perfectly plain. Touareg is wider, which leads to an interior width superior both at the front and at the rear. The Touareg comes with a high-tech dashboard with a gigantic touchscreen of 15 inches for the infotainment and an instrument cluster with virtual display on a 12.3-inch configurable screen (Innovision cockpit – 3,500 euro). With the two imbedded screens and that of the infotainment system oriented towards the driver, the Touareg looks like a UFO and the resolution of the two screens is impeccable. On the 15-inch display, the navigation map features, when displaying google maps, the resolution of a MacBook, and from the base of the touchscreen, both the climate and the seats heating/ventilation can be controlled, as well as the 8 massage functions (1,260 euro plus 810 euro for the seats ventilation), with no other physical buttons. 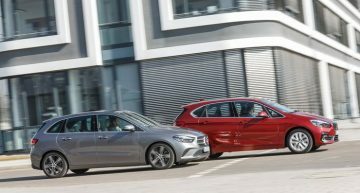 The seats with multiple adjusting provide plenty of lateral support and excellent comfort and the driver seats 6 centimeters lower than in the GLE. Even though the Mercedes GLE is 7 years old, it was highly upgraded when it underwent the facelift in 2015, with the modern assistance systems, so it is by no means inferior to the new VW Touareg. 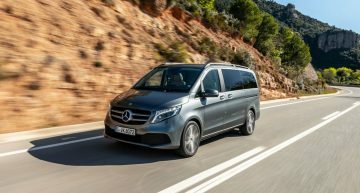 The Mercedes thus offers an adaptive cruise control with active steering for lane keeping, cross traffic assist, park assist or 360-degree camera included in the 2,677.50-euro package. It though lacks the Night Vision and the head-up display does not operate by laser as in the VW, but based on plastic screen projection. 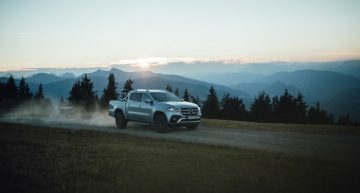 Both models were highly equipped for the test, featuring the optional air suspension (2,034.90 euro for the Mercedes and 1,950 Euros for the VW) and the off-road package (2,261 Euros for the Mercedes and 650 euro for the VW). 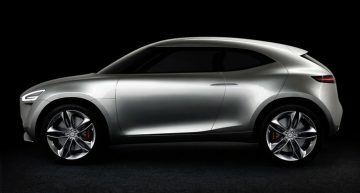 They can optionally receive active stabilizing bars (Active Curve System for the Benz, 3,748.50 Euros or 5,900 Euros for the VW, together with the air suspension and the integral steering), but only the VW gets the optional integral steering, only available with the air suspension for 2,850 Euros. Instead, the Off-road package is mainly for complaisance in the VW, only featuring two extra driving modes, Gravel and Sand, outside the other Eco, Comfort, Sport, Normal, Individual and Snow, but no lock differentials, nor transfer case. The Off-road package of the VW also includes an indicator of the side tilt and a bigger AdBlue Tank and diesel fuel and the ground clearance is adjustable in four different positions. 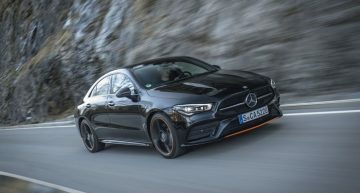 But the Mercedes comes with a pro off-road package, that includes a 100% central lock differential, a transfer case and a specific display care shows the side longitudinal and lateral tilt angles, the wheels rotation angle and the position of the ground clearance of the 3 possible levels. 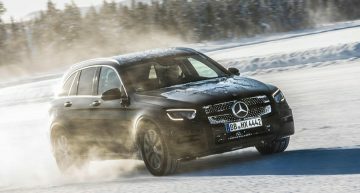 The GLE features five driving programs – Individual, Sport, Comfort, Slippery and Off-road – and the ground clearance can be adjusted in three different positions. How do they drive? 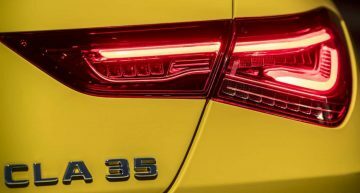 The Mercedes is powered by a 3.0-liter turbodiesel V6 of 258 horsepower and 620 Nm, connected to the newly engineered 9-speed automatic transmission, while the Touareg comes with a 3.0-liter V6 TDi of 286 horsepower, coupled to the 8-speed automatic transmission. 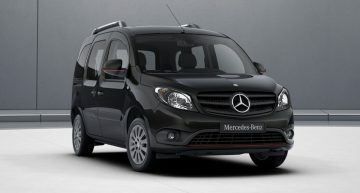 The Benz stays loyal to the values of the brand, providing high-class comfort. 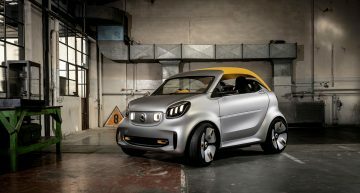 Regardless of the Sport or Comfort setting selected in the Individual mode for the suspension, there is a difference between them, but none of the settings brings a sportier suspension, but soft and softer. 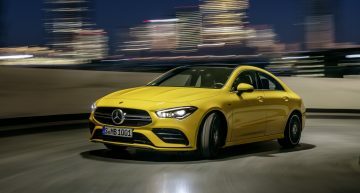 In the Comfort setting, the Mercedes drives as if on an air cushion and elegantly floats, while in the Sport mode, the pneumatic Airmatic suspension turns a bit rigid, but stays soft and the car lightly tilts in bends. 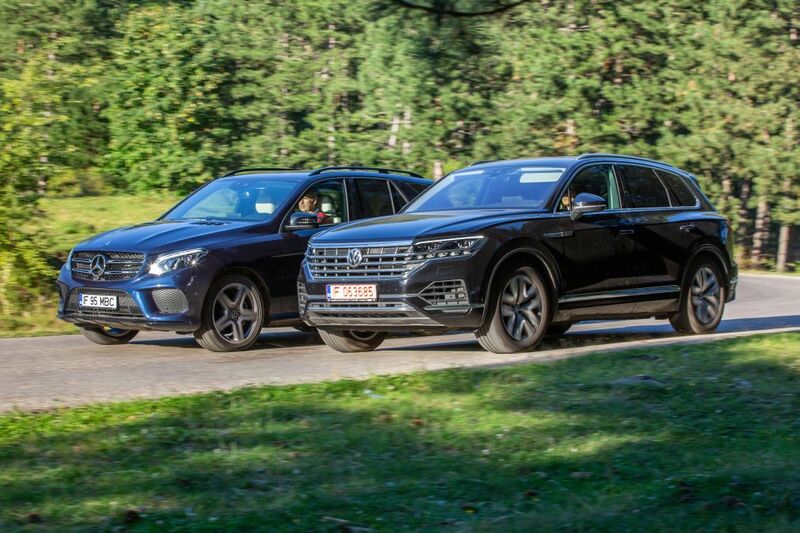 In the Comfort mode, the Touareg runs just as comfortably as the Mercedes, but in the Sport mode, it tilts less, it is more precise and sharper. 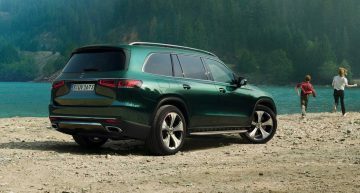 Wider and shorter than the Mercedes, the Touareg features a lower gravity center and a smaller weight, which provides it with a better agility. That is why the Touareg goes through bends at higher speeds and understeers less, as the Torsen central diff distributes the torque faster to the rear when the understeer intrusion arises. 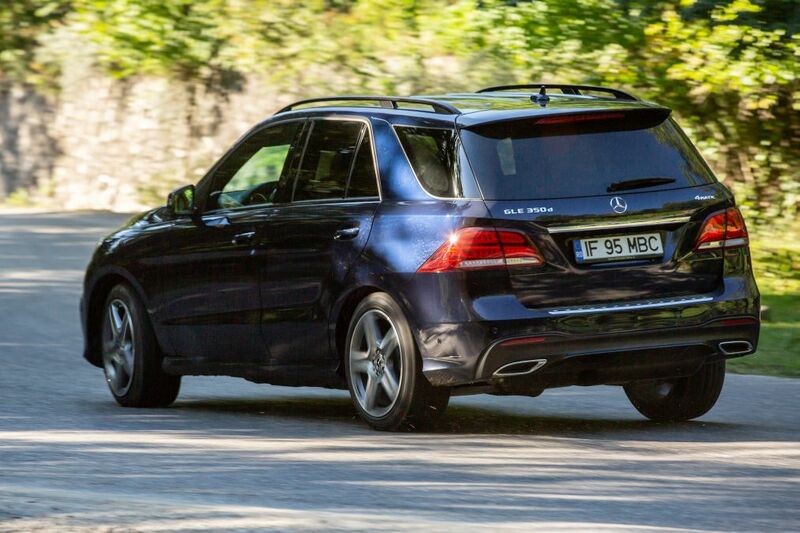 But at least in the Sport mode, the steering of the Mercedes is more voluble and the steering wheel force is higher, while the steering of the Touareg is pretty much assisted, even in the Sport setting. But, the steering of the Touareg is very much assisted, even in the Sport setting. Alternatively, the Touareg features a shorter downshifting, taking 2.25 rotations from one end to the other of the steering wheel compared to the 3 rotations of the Mercedes. 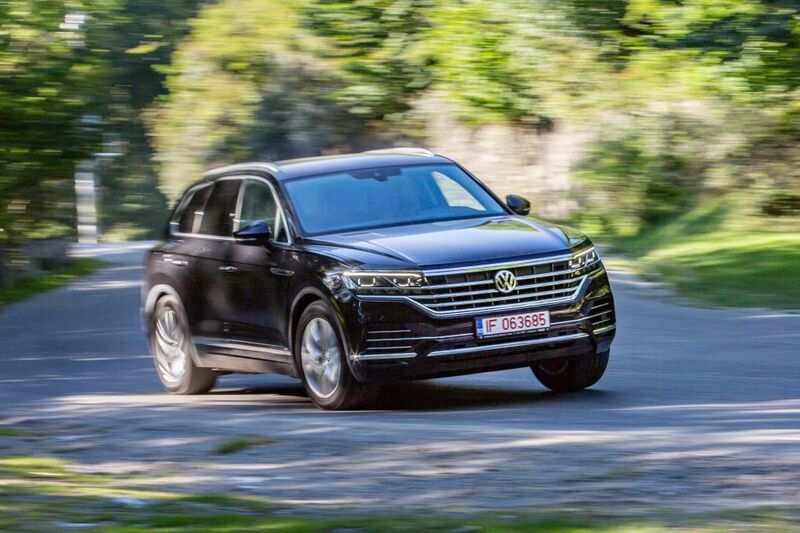 The drivetrain of the Touareg is newer, but not better. 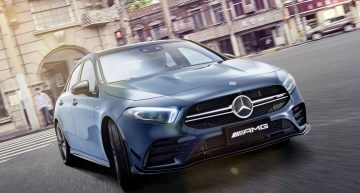 The Mercedes develops a maximum torque of 620 Nm strating at 1,600 rpm already, and this is a a great convenience because the engine shows more snap in lower revs. The Touareg delivers 600 Nm at 2,250 rpm, and the combination with the automatic transmission is not one of the luckiest. The gear box sometimes downshifts uselessly, and when coming out of bends, the Touareg finds itself, many times, in the search of the right gear. The 9-speed automatic transmission of the Mercedes is more intuitive and promptly downshifts when braking or when coming out of bends. 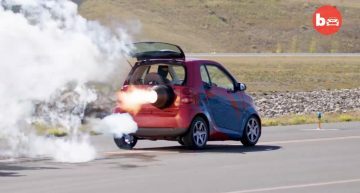 Regarding the performance figures, the VW is way up with better throttle and sprints, provided by the extra 28 horsepower and the lower weight. The engine of the Touareg is even more efficient, consuming by 0.5 l/100 km less. 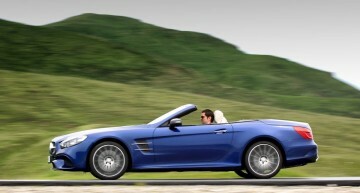 Mercedes is to quit on the V6 configuration not due to weaker performance, but due to emissions. 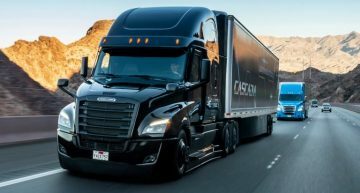 The new inline six configuration shall enable the mounting of the catalyzer closer to the engine, with positive consequences on emissions. Both models are very quiet, demonstrating their premium nature while driving. At getaways, though and in throttle, the VW engine is slightly more refined and that of the Mercedes features very good sound insulation. Nothing comes cheap in the segment. In the tested configuration, the Touareg V6 TDI Elegance, the price starts at 60,675 Euros plus the Elegance package of 1,950 Euros. The LED headlights, the 2-zone automatic climate control with Air Care and the Discover pro infotainment system with navigation and a 9.2-inch touchscreen and the 18-inch wheels are standard. 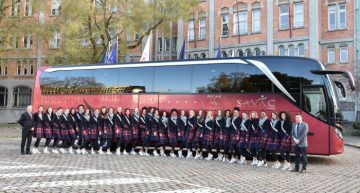 But the ErgoComfort seats in Savona leather cost extra 4,650 Euros, to which 1,260 Euros are added for the massage functions and 810 euros for the ventilated seats. 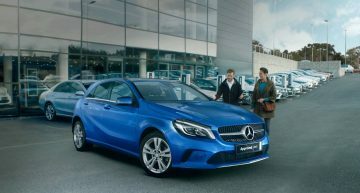 The top-of-the-range infotainment system Innovision Top costs 3,500 Euros and the assistance systems package comes for extra 2,300 Euros. 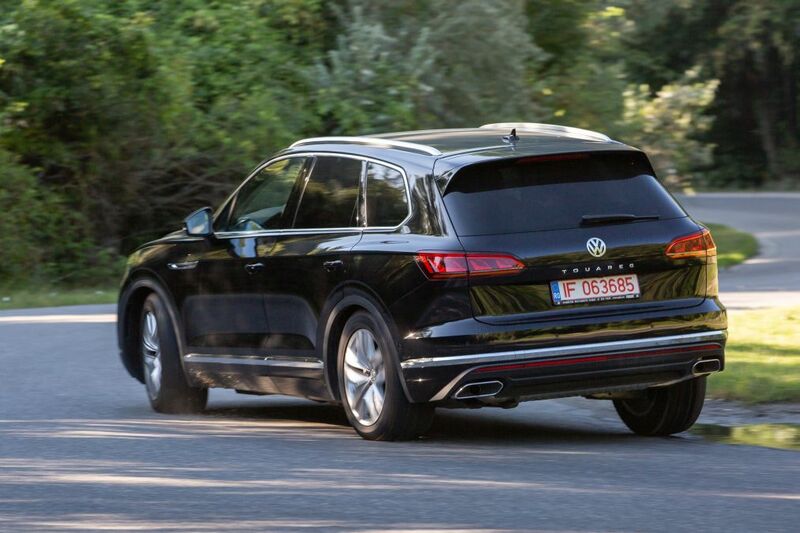 With the adaptive air suspension (1,950 Euros), the 19-inch wheels (850 Euros) and the Off-road package (650 Euros), the Touareg hits 78,895 Euros, without including the integral steering and the active stabilizing bars that take the final price all the way to 82,000 Euros. It is though a VW, but not just any VW. It is the very flagship of the brand. 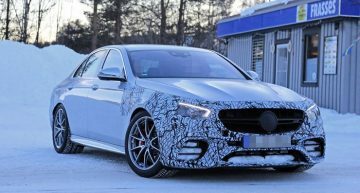 In the opposite corner, the Mercedes starts from 65,331 Euros and the Designo package with full electrically adjustable seats add 7,616 Euros more. 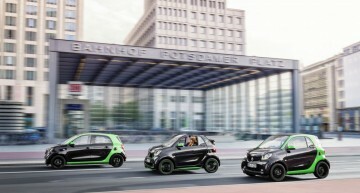 The Comand Online infotainment system, the Thermatic climate and the 18-inch wheels come standard, but for the multicontour seats (1,309 Euros), ventilation (1,309 Euro) and memory seats (1,059.10 Euros) you must pay extra money. 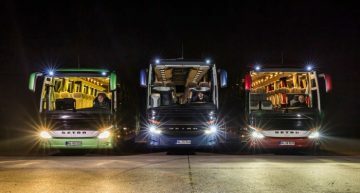 And the assistance systems package (2,677.50 Euros), the air suspension (2,034,90 Euros) and the Off-road package (2,261 euro) and the Intelligent LED headlights (1,725.50 Euros, only halogen headlights are provided as standard), the final price reaches 85,323 Euros. For the interested, active stabilizing bars can be ordered in this case as well (3,748.50 Euros) taking the price up to almost 90,000 Euros. 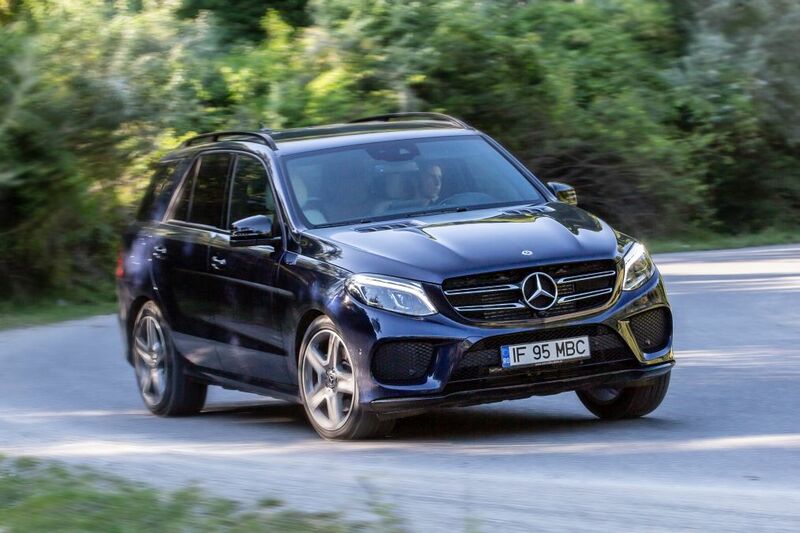 In the end, it only made sense for the Mercedes GLE to be more expensive, but the price difference of a few thousands of Euros is not significant within the segment. The Mercedes GLE 350 d 4Matic is the oldest in this test but is not old fashioned despite the old school Comand Online multimedia system. The 3-liter V6 with 258 HP and 620 Nm still has the strongest torque and the engine-gearbox marriage is better than in the Touareg. 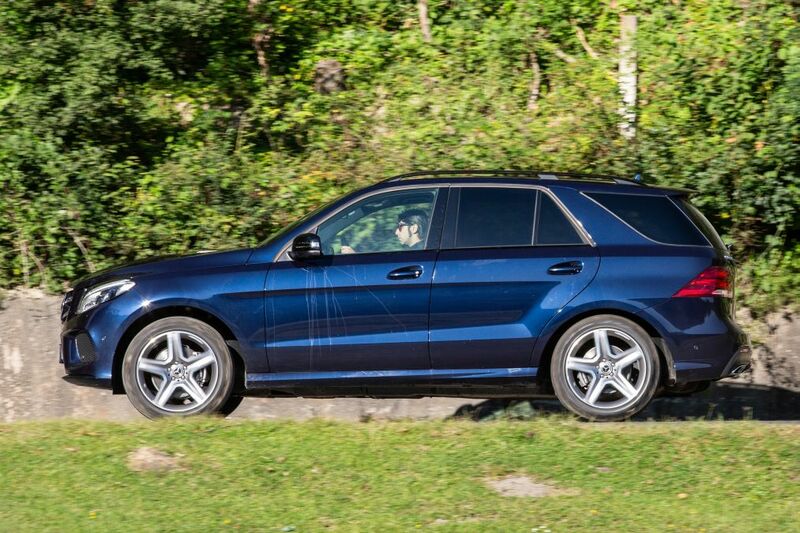 With the Airmatic suspension, the Mercedes GLE offers the same high-class comfort like the Touareg. 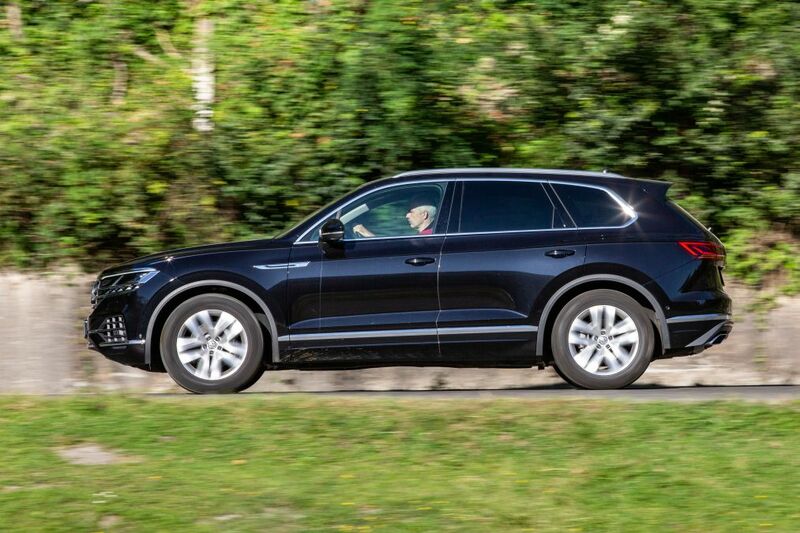 The new VW Touareg benefits from the high-tech MLB Evo platform, also used for the Porsche Cayenne and the Audi Q7, it is quicker, more efficient and sportier. 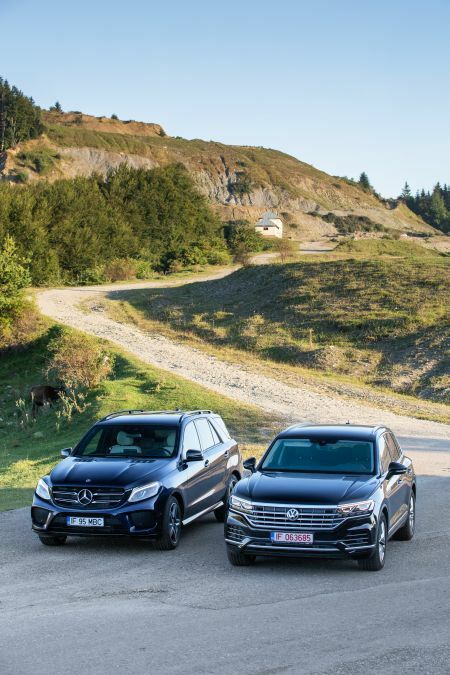 The Touareg is also more convenient in terms of price, but the difference is not so significant, as we expected at the beginning of the test, while the Mercedes provides a more luxurious ambiance with the Designo package.